Tamil culture is one of great antiquity and has made a rich contribution to world civilization. Tamil Nadu has an extraordinary and dynamic cultural legacy perpetuated and preserved over 2000 years . Several traditions and rituals are a part of Tamil identity and daily life ,which have evolved over several centuries. 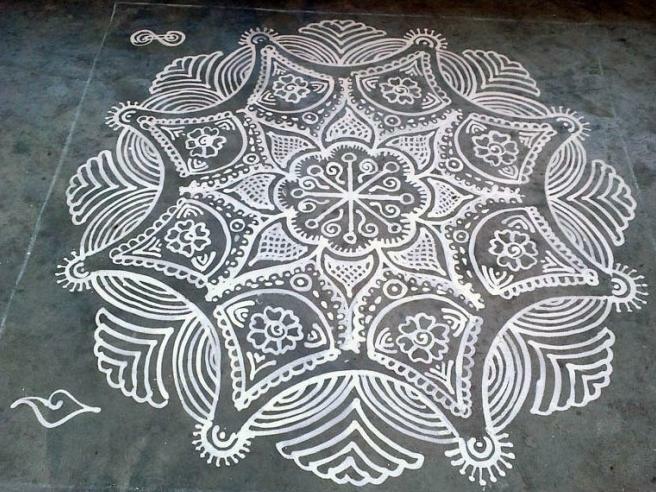 The art of Kolam is one such daily ritual. Throughout the state ,in the front courtyard of every house, or at the threshold, or in modern dwellings, at the front door, an elaborate, symmetrical pattern is made every single day by the lady of the house. 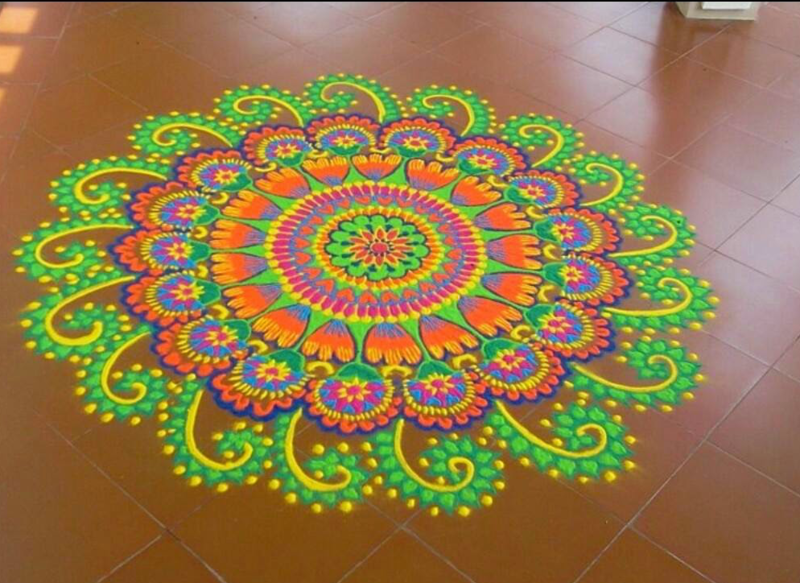 This is known as Kolam in Tamilnadu. 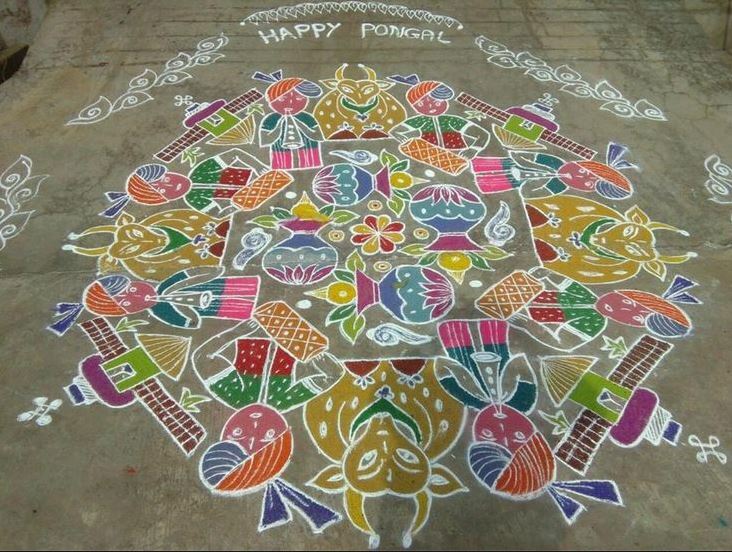 The previous day’s kolam is swept clean and a fresh one is made. The Tamil month of Margazhi (16th December -13th January) is considered the holiest month of the year because Lord Krishna said in the Bhagavat Gita that among the months, he is Margazhi. It has also been proven scientifically that the ozone layer is the closest to earth in this period. The beauty and sanctity of this month is visible all over the state of Tamilnadu. It is common practice for everyone to visit temples early morning and sing devotional hymns before dawn. 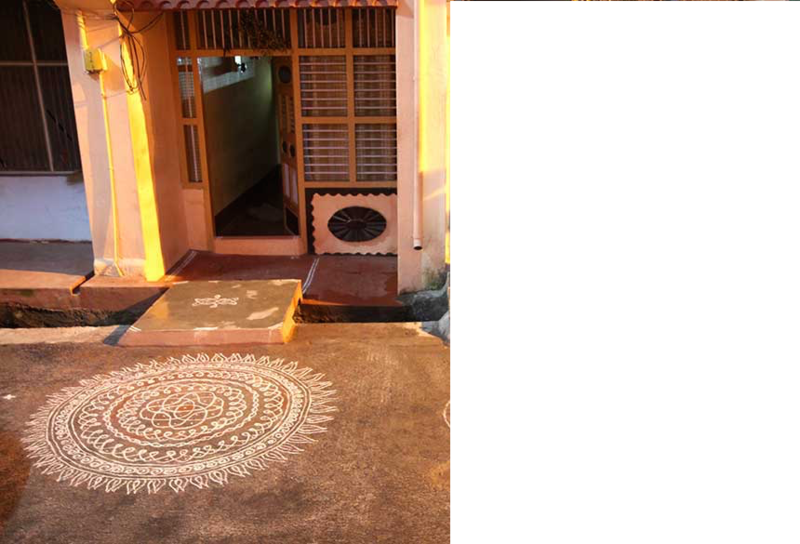 Every single house in all the villages and towns have beautiful kolams at their thresholds. It is a common practice bringing together caste and class. 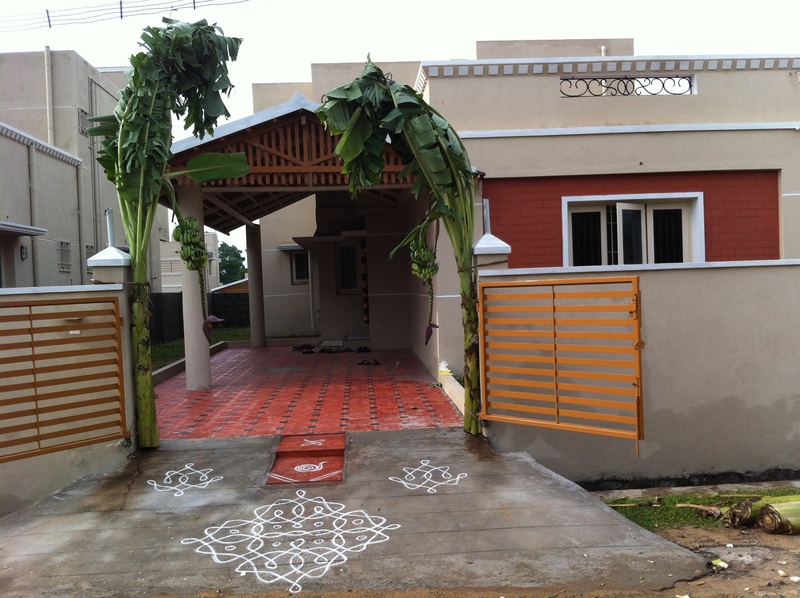 However humble the abode, there will definitely be a kolam at the door. Driving through the state in this month is a treat for the eyes! The symbolic meaning of this art form is that it links women to the Goddess Lakshmi whom they invite to depart her heavenly abode, and rest momentarily at their thresholds, upon an intricate pattern made either with rice powder or rice paste or with different colours. It is believed that the Goddess brings good fortune and envelops the home in her auspicious protection. In this way, the drawing of a kolam is an act of devotion signifying one’s personal relationship with God. The decorated threshold serves as a boundary between the inner and outer worlds, guarding the house and welcoming visitors. The Kolam tradition remains a common practice among south indian women in cities as well as villages and also women who emigrate . 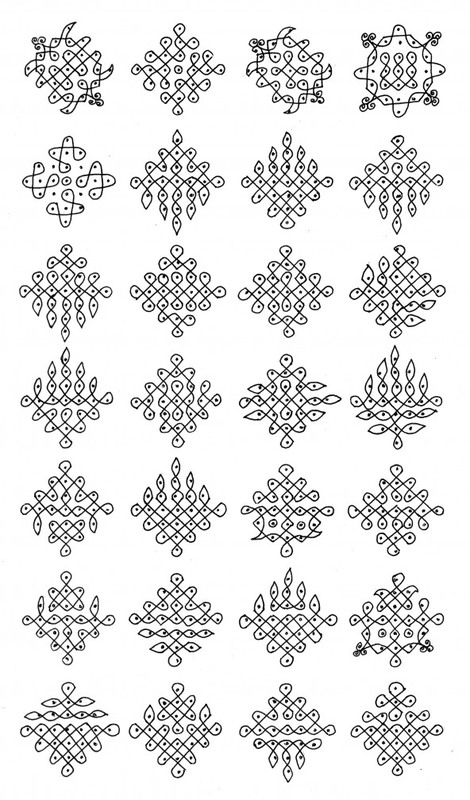 Kolam is a line drawing of curves and loops around a grid of dots. It is completely mathematical, with emphasis on symmetry, repetition and closed continuous lines. A grid of dots presages the final size and shape of the figure. 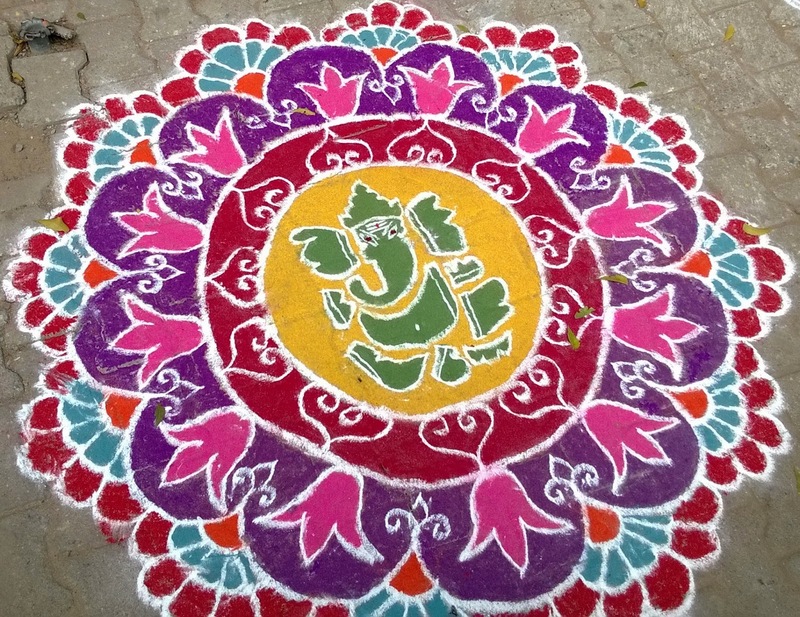 Usually kolams have a four fold rotational symmetry. However there are several variants. It is important to draw each figure with a single continuous line that ends where it began. The closed continuous figures are associated with the never ending cycle of birth and death and fertility, and with the concepts of continuity and eternity. The following one is made with rice powder. 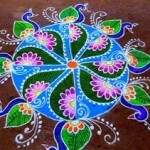 Special Kolams are drawn on festivals which are mindboggling in their complexity and beauty. The one below is a Pongal special. This one is Ganesh Chaturthi special! The following gorgeous green one has been made for Navaratri, to welcome the Goddess in to the home. 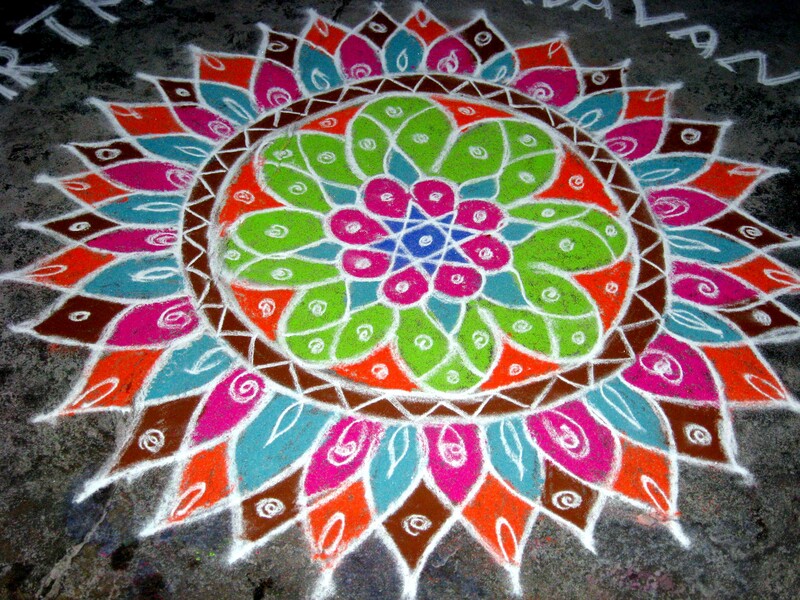 In recent years, kolam figures have attracted the attention of computer scientists interested in analyzing and describing images using picture languages. Prof. Gift Siromaney of Madras Christian College, a prolific and distinguished researcher, was a pioneer in the study of kolam designs as a part of the analysis and understanding of picture languages. Picture languages use sets of basic units and study the syntax rules for combining these units. 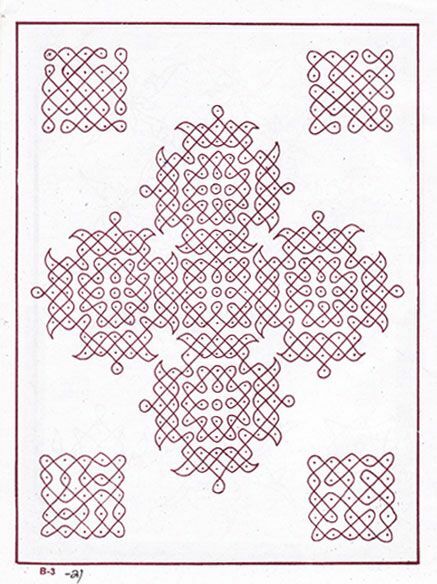 Using these rules of syntax a computer can generate new kolam designs mechanically. 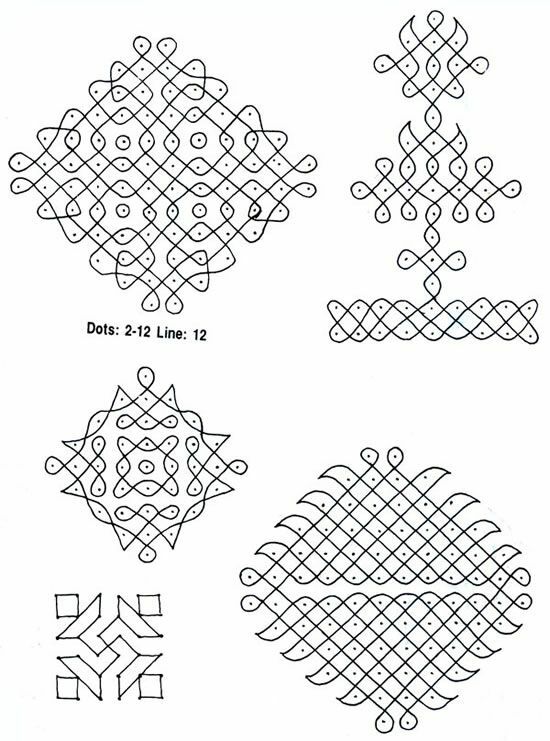 There is a seminal article written by Dr Marcia Ascher for the American Scientist called The Kolam Tradition. Dr Ascher’s research focused on exploring the diverse expressions and cultural settings of mathematical ideas. Her studies were concerned with oral traditions and cultures that were not viewed as part of the mathematical mainstream, such as the kolam tradition. 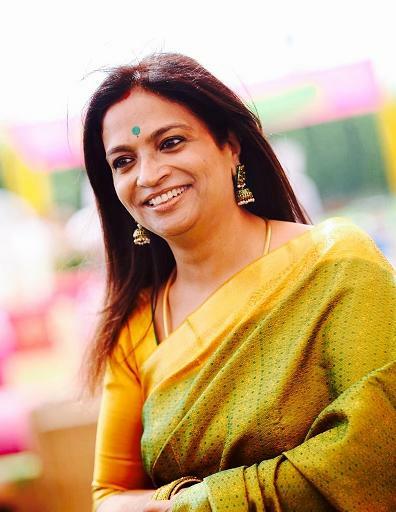 According to her, what sets the kolam tradition apart is that it directly contributed to an academic endeavour. Kolam entered the realm of computer science. 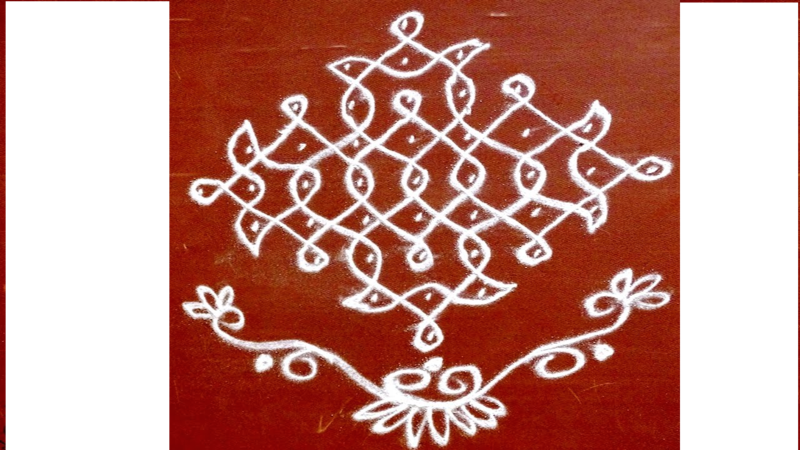 Computer scientists have highlighted the richness of the kolam structures and their algorithmic nature,in other words, the orderly step by step way in which they are drawn. There is no doubt that mathematical ideas are embedded in the kolam tradition with its emphasis on symmetry, repetition and continuous curves. Dr S. Naranan , a distinguished physicist, saw an incredible link between the mathematical pattern –the Fibonacci series and kolam patterns in which each number is generated by adding together the previous two. 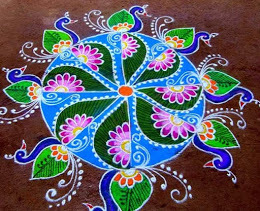 Thus the kolam tradition is a part of a global history of mathematical ideas and yet remains intrinsically a Tamil cultural tradition.